What do Kelly Rowland, Real Housewives of Melbourne and Swarovski have in common? Alin Le’Kal. Giant crystal chandeliers adorned the Renaissance-style paintings ceilings, in the Paris Intercontinental Hotel just off the Champs Élysées. 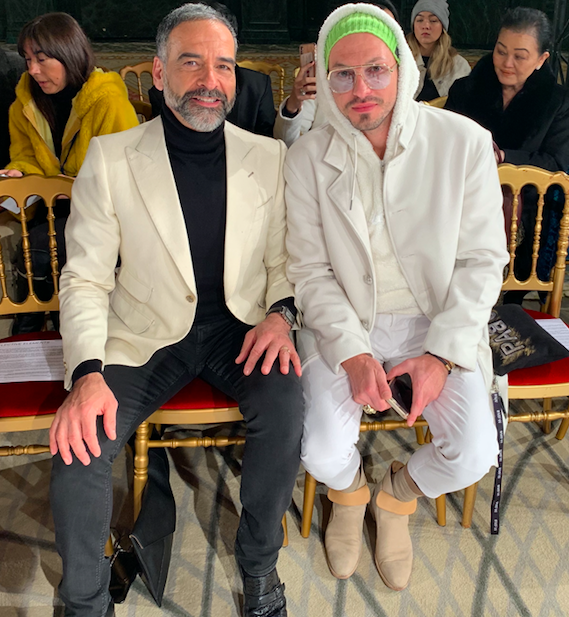 Paris Fashion Week always seems to bring the globe a bit closer for one week. Today, January 22, 2019, Australia took to the stage to show what fashion the land of “down under” had to offer this time around fashion week. Alin Le’Kal is an emerging Australian designer, who caught critic’s attention when Real Housewives of Melbourne’s star, Gamble Breaux, was seen in her custom 120,000 glass pearl wedding dress, designed by Le’Kal in 2016. 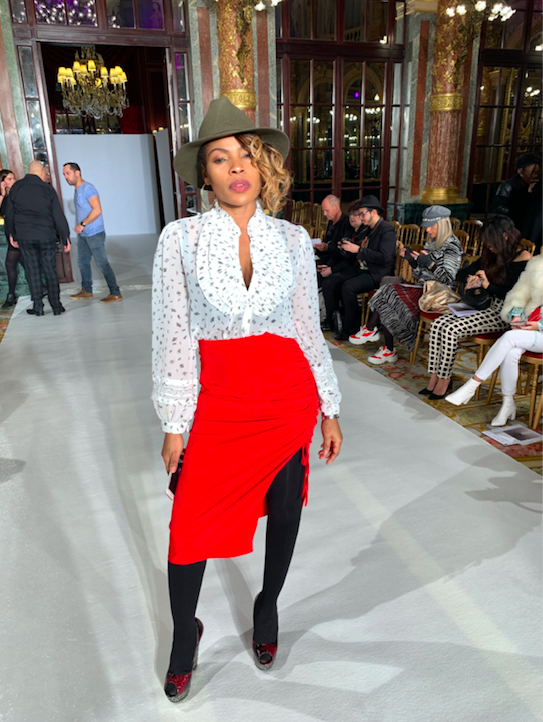 After his reality debut, Le'Kal went viral and decided to release a ready to wear line called V.ssali, which most notably developed a Swarovski pant-suit. Since then, he’s caught the eyes of American stars such as Kelly Rowland, who sported his design for the 2018 Australian Logie Awards. Le’Kal’s sister, Elizabeth, shared with Peacock Plume, “My brother is highly recognized in Australia, Melbourne especially. So we figured we may as well take his talents to Paris.” And what better place to debut his first runway show at than at the renowned Intercontinental Hotel in Paris. Le'Kal started off the show by debuting a design that encompassed his signature: crystals. 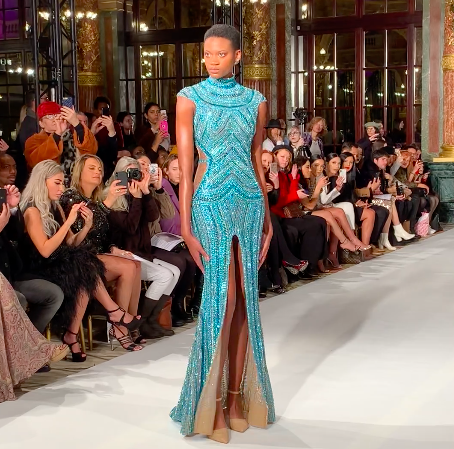 The blue, floor-length cutout dress sparkled on the runway. The designer also opted for a sheerer, shorter dress that emulated a similar sparkle. He presented another showstopper gown that perfectly hugged the model's hourglass figure. One of the designer's simplest, yet most colorful looks. He displayed a retro design with a sheer floor-length gown. Elizabeth Le'Kal noted the pink evening gown (pictured above) was one of her favorite looks of the show. It also seemed to reign the crowd's favorite. As the model emerged, the crowd gasped and a burst of camera flashes went off. 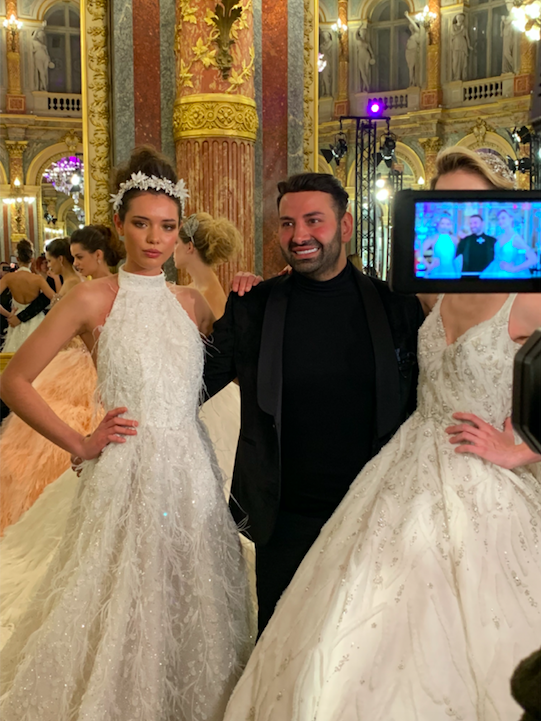 After several of his evening gown looks, Alin Le'Kal revealed this year's couture wedding gowns. The designer held nothing back in his lush bridal designs, so much so, many of the models struggled to hold up their dresses down the runway. They carefully placed each step to keep the material from getting under their shoes. The trains dragged several feet behind the models and the shapes were kept with absorbent amounts of thule. Le'Kal was consistent with his inspiration of crystals and feathers in these designs as well, with each skirt being heavily lined or made of one of the two materials. Elizabeth Le'Kal noted her brother has entered multiple fashion competitions, "I would say growing up with two sisters provided him ample opportunity to test out some of his ideas, but he eventually branched out with other models, and that's what helped him progress to where he is today," she shared. This is Alin Le'Kal's first ready-to-wear fashion show.